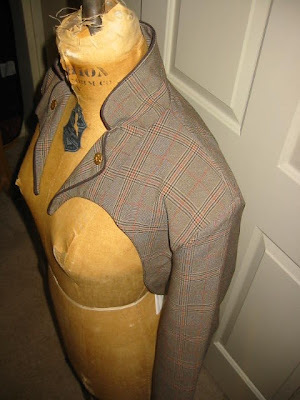 Two new shrugs this week: The first, a plaid waistcoat shrug, turned out better than I expected (see last pic of original jacket). 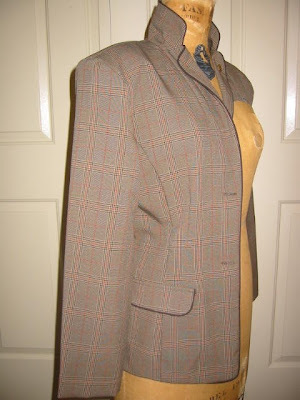 The fabric is a very light-weight polyester with a bit of stretch--not a traditional type of fabrication for a vintage piece. 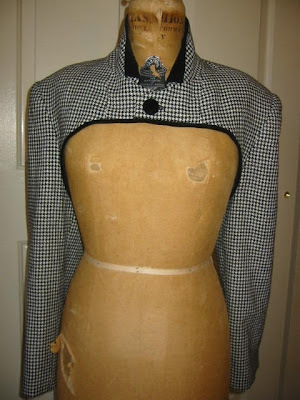 But I just started cutting it to shape around the bust, sorta like using the negative space. 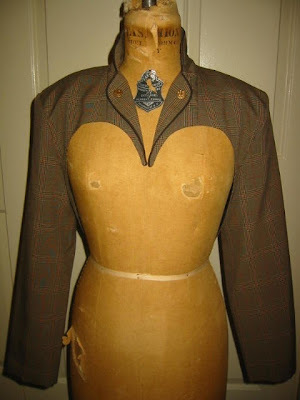 Then added the vintage metal floral buttons to tack down the lapels and vintage plastic buttons on back with self-tab to cinch it in so that it hugs the curves more closely. This will be going up on Ebay this evening. 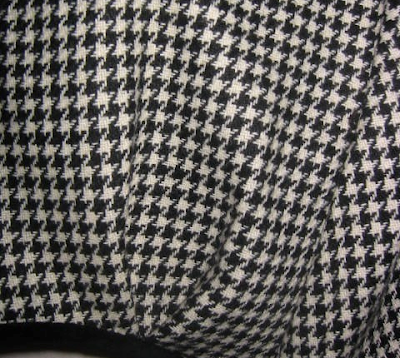 The black and white houndstooth shrug is a favorite fabrication to work in and to wear! 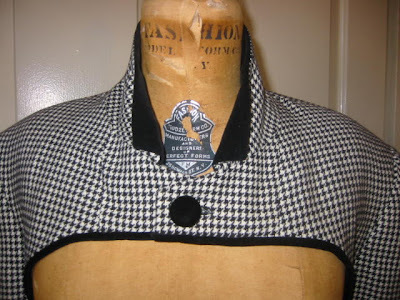 So traditional and regal--especially with the velveteen collar and trim. 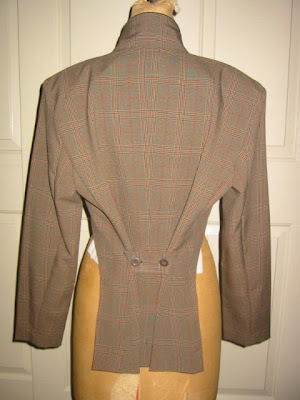 After cutting the length, I took inverted pleats at the back, then tacked down the collar points and added a narrow velveteen binding around the bottom edge.